1 - Begin by lighting some FWOP incense and preparing the petition paper. Write the names and DOB of those to be protected on the paper. You can also add your home address if it's a home protection packet. Turn the paper 90 degrees clockwise and cover and cross the names with Luke 10:19 ''Behold, I have give you authority to tread on serpents and scorpions and over all the power of the enemy, and nothing shall hurt you.'' Smoke the petition and flannel/bag in the incense smoke. 5-spot the paper with FWOP and 7-11 oils. 2 - Fold the paper toward you as many times as you can and place it in the bag or lay it on the flannel. Add a pinch of eucalyptus, a pinch of rue, a pinch of agrimony, a small devil shoe string, a small lump of asafoetida, nine grains of paradise and the bay leaf along with a personal concern from each family member. If you're making a mojo bag, smoke it in the incense, pray Luke 10:19 and your wishes for protection into the bag and tie it off. 3 - Anoint the light with FWOP and set it over the herbs on the flannel or over the tied off hand. Pray regularly as the light burns. Once the light has burnt out tie the packet shut. 4 - Sew the mecury dime onto the outside of the bag as a charm, or tie it onto the finished packet. 5 - The mojo can be worn on the self or kept at the entrance to the home (over the door) wear those who come it must pass under it. It can also be built into the wall of a new construction or renovation. Thank you ahead of time for your advice. I just recently obtained a job at a Mortuary and Cemetery (a month now). Since I am working with the dead all the time, I am concerned about the possibility of spirits attaching to me and bringing them home to my family. I want to prevent this from happening. I have been looking at the Lucky Mojo store but I am not really for sure what I should get or do. Should I obtain something to cleanse myself and family before setting up a protection? What type of protection would be good? I was thinking of the Fiery Wall of Protection mojo bag for when I am at work. I don't feel like anything has attached to me or family so far, but I don't want to press my luck. I would rather protect than to cast out. There are a few things you can do. I like the Idea of using a Fiery Wall of Protection mojo to keep yachting that might try to follow you home from doing so. It also never hurts to do some spiritual cleaning before setting up your protection stuff. I like the one two three approach of cleaning, blessing and then protecting. 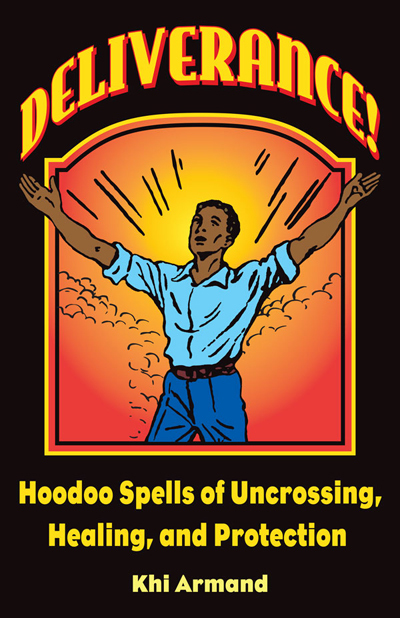 Since you are just starting out with hoodoo I would recommend using the spell kits. You can start with an Uncrossing (http://www.luckymojo.com/uncrossing.html), even though it doesn't sound like you are crossed up this will clear out any spiritual gunk that might be hanging on you and it comes with enough supplies for you to do your whole home. Then you can use a Blessing spell kit (http://www.luckymojo.com/blessing.html) or a 7-11 Holy Miracle spell kit to bless yourself and your home, Follow that up with the Fiery Wall of Protection mojo hand (http://www.luckymojo.com/fierywallofprotection.html) and you will have covered all your bases! You can also if possible take a route home that has you crossing running water. Spirits of the dead often have a difficult time following someone over running water. You can also just vary the route home that you take in order to keep them confused. I hope this is helpful and you are right! Prevention is always better than a cure! Thank you for the help. I will definitely follow this process. I like the info about crossing running water on my route home. There are a couple different ways home that cross water, I will make sure to take. It is a Long time that I am trying to understand what I have to do for protect me when I do a spell to someone, what I Mean is that I feel the astral body of my victime and I receive their emotions and their bad influence..I did one time a bitter Bath with Salt lemon and caffè but wasn't enougth...what I have to do for do not receive their karma and their bad emotions? I moved your post to a thread that has lots of ideas that should be good for your situation. It also sounds to me like you may need to focus on some general protection for yourself. I would recommend looking at Draja Mickharic's book on Spiritual Cleansing. You can find it on the lucky mojo website here (http://www.luckymojo.com/mojocatbooks.html). Lucky Mojo is proud to announce the publication of a new book by Khi Armand, the host of the popular LMC Radio Network show "On Sacred Ground." In "Deliverance!," Khi unlocks the secrets of how to take off crossed conditions and achieve healing and protection. The book will debut at the 8th Annual Hoodoo Heritage Festival in Forestville, California, May 16th-17th, 2015, and a copy will be included in the admission package for the event, because Khi will be teaching a workshop on how to do this work. We are taking pre-orders now. "Deliverance" ships on May 18, 2015. Pre-ordered copies will be signed by the author. Sorry about the title if it is not sufficient, couldn't think of anything better. I would like help with the following two items, please. Just to know what to do or to see if what i have done is sufficient. The known enemy i have earlier written about in this forum is using the following 2 strategies. 1. Inciting/provoking other people (old enemies) to start doing evil against me - So far i have tried freezing the ones i could identify. Has worked for some people but not for all. This strategy is intended to make me have lots of battles on my hands but i am not fighting anyone of the people as that could become a full time job, multiple spiritual battles. I have tried lighting a peace candle as well to restore peace between me and them. What else could i do to stop different people being provoked against me. I don't know if i have explained this well so everyone understands it, but it is the case of someone spiritually turning people against you, even people you were at peace with, even members of my family. 2.Hardship - He is using hardship against me. The word hardship just came to my mind one day, i think he wanted me to know exactly what he was doing. Things are suddenly getting harder and customers seem not to want to spend big money. Am suddenly watching the pennies. I haven't done much about this apart from pray to cancel hardship and decree wealth, abundance and prosperity. I also prayed this while bathing a few times. Please what else can i do. Lots of creditors are also suddenly writing to me even those who had forgotten me for about a year or more. I have wealthy way, Prosperity oil, money drawing and so on. I also have reversible. Please help anyone. Also, i have uncrossing vigil on at the MISC and Road opener vigil at home but things are still quite slow. Am using Ammonia a lot more now (though i mostly use it on a doll i made of myself but sometimes on myself too) and i am waiting for the 13 herb bath to arrive. What spirit can one implore or invoke to counter the spirit of hardship? Thank you Holy Trinity! The power that garnished the heavens & rules all! Hi, I am reading through this post and one thing that I would suggest is organization. If your enemy is organized and attacking you in a set manner you should be the same way in your defense. If you have ever read the Art of War; Sun Tzu, the philosopher who gave this teaching, talks about the 5 laws that govern war. Now I understand that this is a spiritual war, but the laws still apply and the law you need is the 5th one, the law of Method and Discipline. Your enemy has used this law perfectly but your flaw is that you have not used it at all. You've set methods but you haven't any discipline. You must choose a method and stick with them as a constant, until your result is achieved. I would also suggest that you have a flawed method. Usually when it comes to someone working against you, you start with reversal work, cleanings, protecting, then mending the situation that has fallen into detriment. It seems to me from this post that you have been trying anything in any manner that you believe will help. Also your post says nothing about you get a reading. I think the reading could be most important because if you haven't had a reading you could be working against the wrong person and not know it. That could be why you're methods have proved ineffective. I hope what I have give you will help you to solve your situation. Many blessings and good luck! Thanks for your reply. It has helped me identify an area of weakness and i will work on it. One thing you might not know is that the enemy is a professional spiritualist, i am not. However, i still need some help with the topics posted above, can anyone help please? Have you already tried the basics: cleanse, seal, protect, .... then reverse? If you are facing an experienced worker, you probably need to hire a professional to back you up. Also, when doing protection on your property, you could scatter poppy seeds to blur his vision, so he can't spy on you as easily. A mirror box to reflect his evil back on him would help too. I would get a reading and ask a Pro for some backup work on your behalf. And Cleanse, Seal, Protect yourself, your home, your business, and your car. Both Moonbreath and Shawmleo are correct. Then, bury it in a cemetery. Get rid of this idiot once and for all!! Thanks everyone for helping with this. This has been going on for much too long. Miss Aida, i did do a mirror box but i later threw it out. And now things have escalated. I can't bury it in a cemetery in England, it's not as easy to do that here. I think i will hire a professional to help with the mirror box. However, there is more than one person working against me, can one do a general mirror box ? That is put a doll in to represent all my enemies and anyone working against me. If this can be done, then i will be calling one of you fine AIRR workers for help. Your reply will determine my next course of action. Also, i need a reading in a hurry but don't think i can do hoodoo psychics from my location. Is there another way to get a quick and thorough reading? Thanks for your reply. I have done uncrossing, road opening and protection. I don't know anything about sealing, could you please tell me more about this? That may be the missing link I need. I was working a St. Michael spell to hold and bind a known enemy who is causing mischief in my life...through a reading, I found out that this woman (my enemy) has someone else working for her to send jinx, ill-wishes, etc towards me and my relationship with my bf. As I was doing my prayers, I called upon St. Michael to hold and bind my enemy and anyone working for her. I bough a statue of St. Michael which the arm moves (you can move the arm up or down) while holding his sword. I did notice the arm was a bit loose and some glue was at the tip. As I was done with my prayers and petition, I was fixing the arm to point downward and the arm came off and in my hand the sword broke????? I panicked. I take this as a very negative sign that not even St. Michael can break through this curse and work that is being done against me...I am so scared and not sure what to do or i'm a just being panicky since I was not being delicate in the moment. Is this a sign? I quickly, grabbed a heavy brick and set it on top of the work to hold and bind her, while grabbing a picture of St. Michael with his sword pointing downwards. And continue to call on St. Micheal,etc. I am in the process of doing a 13 herb bath, I've been cleaning my home with chinese wash, etc including doing reversal work. I am at a loss...not sure if this root worker or my enemy is stronger than the archangels. Have a done something wrong to cross the angels or myself. or is it time to call on the big guns? Any help, insight, suggestions would be greatly appreciated. I have been praying from my heart and soul for protection from St. Michael, including my guardian angels, ancestors, etc...HELP! I think I need a more experienced root worker who can work against this women since my simple spells or not working or I maybe am not powerful enough to penetrate this work against. Your suggestions,words of comfort or advice would be humbly appreciated. After you cleanse the room with Chinese Wash, you burn a white candle with Blessing Oil on it to seal it, then go to the next room. Some folks add protection before they go to the next room too ( although I have done this step last through out the whole house). By this I mean making small crosses with Protection Oil or Van Van Oil or Florida Water on your windows & doors. Since you are dealing with negativity, you may want to sprinkle salt in the corners of each room and place some camphor in the corners too. Of course as you cleanse, seal, and protect ...you say the 23rd Psalm. I throw in St. Michael's prayer when I make the crosses on the windows and doors for protection. But "sealing" the room involves burning the white candle - you can do searches on here for more info. Some folks burn it on a mirror, some folks use a white crucifix candle, I have used white tea lights when that was all I had. There is no power (other than God's power) that is stronger than St Michael. You may have had a bad statue. Anything could have happened. Now, my recommendation is to light a vigil candle to St Michael and see what the results are. Or have MISC do it for you. If the candle burns black, then you wil know if more work needs to be done or if this was a defective statue. I am not offended you edited out the other stuff...No offense taken. Thank you for your suggestion and for your reply. What specific LM products would you recommend for keeping negative spirits away from me while I am sleeping? I am getting ready to make a big order, and would like to include something for this, maybe a sachet powder? I am already planning on getting some camphor to place in the corners of my bedroom. Here is what happened if it helps, I was dreaming when a very tall dark figure was standing over me while I was in my bed. It's figure was very dark, but I could see it's weird face. It was moving its lips but I couldn't hear anything (to me this is a hint that it was not a human spirit) until it said my name. I knew I was dreaming, and that it couldn't hurt me, so I wasn't too scared, but it was unpleasant. I was already using Fiery Wall of Protection products (I think that night, I had used the oil) because I always do. I would say the FWOP worked, because the spirit could not hurt me, but I would like for it to stay away entirely, in future. I was thinking Run Devil Run sachet powder, maybe? But should I hang it in a sachet from my bed post or what? What else should go in there? There are so many ways of protecting against such things. I think this page will not only answer your question but also give you many more ideas. Can the protectee in the fiery wall of protection spell be performed to protect a couple or must it be done one person at a time? Should I petform this spell in my altar for love or negativity or in a neutral space? Does one need a cleansing after this type of spell? Yes, you can do it on a couple. But the reason needs to be the same. For example: protect this couple from break up work. You don't need a cleansing. Great! Thanks for the clarification, Ms. Aida! Do we need to notify or ask for permission from the Guardians for their help? P.s. How can you be so many places at one time? Yes, I always call n and ask my Spirits to help me. I am writing on behalf of a friend of mine from work. She caught me reading a spiritual book on Shamanism during my break and she asked me if I was into that stuff because she needs help. She believes her daughter is being invaded by a demon. She said at first her daughter used to talk to a spirit named Mary (don't remember her last name) who she found out later, died in the house she's currently living in. The way she found out was that she had been visited by Mary's family who just wanted to see their old house and they spoke of their daughter that died--Mary with the same last name. I don't remember all the details they gave me about it. Long story short, my friend's daughter became excited and I guess started dabbling more with communicating with this spirit and other spiritual activities. Like I said I don't have all the details. Well as time went by her daughter started hearing another spiritual presence and it wasn't friendly. Then her mother started noticing a personality shift in her daughter and it's gotten worse. She's finding sores developing on her daughter's body and her voice changing. At first she thought her daughter was doing drugs but now she knows that's not the case. First I advised her to talk to a priest to go investigate and pray for her. She said she looked into it and they told her she has to be Catholic to have that done. Neither her nor her daughter believe in that. I think they have more Pagan type beliefs. I also told her that even though I do have a lot of experience communicating with spirits, I have none when it comes to exorcisms (if that's the case). I told her she would be better off talking to someone who has more experience with such a thing and I thought of you guys. Can you recommend someone from AIRR who could read and help her with her situation? I work with demonic activities but, unfortunately, I live in Michigan. This is sounding like the second stage: INFESTATION. Can you call every possible clergyman in the area? All denominations? I am VERY upset that the Catholics are not helping people anymore except other Catholics. They didn't do this in the past. Another option is to call local Ghost Hunter teams who may know exorcists. I am not sure if any AIRR member lives in your area (you would have to check the AIRR webpage) and not too many handle this. When calling around, PLEASE don't get caught up in anyone telling you that they can get rid of it: "Remote" or "Remotely". That's a bunch of crap! Thank you so much for your help and advice. My friend says thank you as well. She will look into this. A few years ago, I was in a relationship with a man who did a lot of energy work and has strong narcissistic tendencies. When I first saw those traits a few months in, I tried to break it off, but he did a ceremony using a photo of him and me put into a painting he’d made to manifest us being together. Less than two weeks later, I contracted a debilitating illness and for the next few years was essentially trapped with him. I could sense that being with him was making me sicker, draining my energy and basically turning me into what he wanted, which was to be dependent on him and unable to have any kind of life of my own, including work or friends. Finally, although I was extremely sick and broke, I left and moved to another state. Shortly after, he got together with a woman in the same spiritual community, who he told me many months later was a witch. I was really weak at the time, still very sick and on treatment and found to my surprise that I was really jealous of their relationship. I regretted leaving him and told him. He told me he wanted us to still be together, but it would destroy her if he left her. For the next several months, I tried to rebuild my life, recover my health and make new plans. But nearly every night, I’d wake up around 4am feeling like I was being torn apart in some kind of energy war between them. I had a distinct gut feeling like she was a threat to my wellbeing and the whole situation made me feel completely crazy. I had been deeply sceptical of energy and spiritual work, so I believed I must be imagining things. It got very messy afterwards, where he left her to try to get me back, but then they ended up back together after it didn’t work again with us. So, I moved far away and started a completely new life, but felt like they were both inside my head all the time, night and day, and I was struggling with my health and sanity. This went on for months until I finally accepted that there really might be a metaphysical element to it. I used a spell with salt to remove the curse that he originally put on me and the results were intense. It made me feel really sick for the first day or so, I had dreams of earthquakes (there had been a big one the day we went on our first date) and then I felt much better. I did a similar one to remove any negativity his new partner had sent me and the next day my hair stopped falling out so quickly. Over the previous year, I’d lost about half the thickness of my hair and had thought it was due to illness or the treatment, so I was really surprised at that result. I also noticed that I felt like I was able to finally think my own thoughts for the first time in 2 years. I tried to get a reading with an expert then and it all went very weird. One, who’s registered with AIRR and appeared to have a great reputation, never replied and in the end just refunded my money without explanation. Another said the cards showed a fierce protective spirit with me, but no curses and a third curse breaker also never replied. A chakra-clearing psychic said she saw ‘pockmarks’ on my aura as if my ex had been trying to penetrate it, but didn’t give any indication of when that had happened. A shaman said she detected a long-standing curse on the land where my ex had done the original ceremony. Around that time, I came across a freezing spell and decided to try it as I knew they had been badmouthing me to mutual friends even though we no longer had any kind of contact. So, I put their names in the back of the freezer. I was then out of town for a couple of weeks and when I returned, my housemate had replaced the refrigerator because, as he told me, the freezer kept breaking and defrosting (he didn’t know about the spell). Shortly after, I was staying with one of my best friends and a series of weird things happened one morning, including the odd appearance of a few numbers that were significant to my ex, then a butterfly perched on the windowsill that I tend to only see these days in connection with magick and then my friend went into a shocking, incoherent rage at me that I didn’t even know he was capable of. It was so scary I feel like I can’t be friends with him anymore. I panicked then, feeling like my ex still had some kind of influence and was trying to take anything that might make me happy and healthy. I placed an order with Lucky Mojo for various uncrossing items, but I messed up the address on my order and I still don’t know its status. So, I made myself a mojo bag and then two mirror boxes following the instructions on the Lucky Mojo site. I was worried about the potential ramifications, I don’t want to hurt either of them despite everything. So I did it with the intention to only repel the bad things they were sending my way and stop them taking good things from me. On different nights, I buried each box into a nearby cemetery, one by a grave with a spirit who seemed willing and then the other by a tree since it seemed receptive and the rest of the graves were silent. I left whiskey and dimes and it all seemed to go fine. A lot of flies came into the house those two evenings, but I didn’t know if that was symbolic. I felt a sense of lightness and relief afterwards, like I could now fully engage with bringing just light into my life and myself. I started a series of hyssop cleansing baths. But, a week later, I passed by the cemetery and had a feeling I should check on them. Both boxes were out of their holes. The wooden one by the tree was still sealed and sitting upright a little distance from where I had buried it. I put it straight back in the ground. The cardboard one (for my ex) was in pieces, with the contents strewn on the path. The most likely explanation is that an animal dug them up, but there was no sign of claw or bite marks or digging. It was as if they’d been neatly lifted out. The hole near the tree was even covered over with leaves, so I didn’t realise it had been unearthed at first. I wrapped the remains of the one from my ex in a bag anointed with reversing oil and tucked it in a far corner of my attic, while I tried to figure out what to do. I read on the forum that someone had a similar situation and they were advised to rebury the box. I planned to do that, but it was going to be a few days before I could get all the necessary supplies again. Then, because I was still feeling much better, I thought perhaps the spell didn’t need to be redone for my ex. But last night I repeatedly dreamt about his partner’s box being out of the ground and not being able to get it to stay in and the feeling of negativity and foreboding is around me again. So, now I really don’t know what to make of all of this. Do you think nothing is really going on, it’s all coincidence? Or that they’re so powerful, they’re repelling anything I do, making it impossible for me to get an in-depth reading, breaking the freezer and getting out of the mirror boxes? Should I make a new mirror box for my ex? If so, should I bury it in a different place? What should I do about his partner’s box if I find it’s been unearthed again as in my dream? I’d really like to find someone who can give an accurate reading on all this as I feel like a lot is complicated and hidden to initial impressions. I’m healthier than I used to be, but I so want to be certain that I’m free of their continued influences. Thank you so much in advance for any thoughts and suggestions! Wow, you have a whole lot of things going on here. First of all, I would perform the mirror box spells again. No cardboard! Lucky Mojo sells the real deal wood boxes with the mirrors. Then, you will have to dig deep. Very deep, to get these boxes deep in the cemetery. DEEP. I would not offer the deceased anything except a dime and flowers as you don't know if the deceased drinks. Now, you need ONGOING protection. ONGOING. I had numerous dreams about my ex for DECADES. It finally occurred to me that he was psychically attacking me. I finally put him in a mirror box, without any curses, and buried it in a cemetery. It has now been 2 wonderful of no dreams. BUT I made sure that this box was buried VERY deep because he is highly protected. I can't give you an impression of what I think as that would require a reading. BUT, you need PROTECTION always. Thank you so much, Miss Aida!! I feel really reassured by your reply. I am getting some work done soon, but getting DNA is impossible at this point especially since the person is using brujeria on me. My question is, is a picture enough cause I find it really dangerous to deal or go around my boyfriends mom and two, how do I keep her away from us? She already broke my protection spell which she was able to cast brujeria. It's a weaker link but, yes, you can use it. Also, listen to this radio show on different personal concerns. Great idea! I'm learning more about protection spells and would like your guidance on an attack that's been going with me since late 2015. I moved into a beautiful apartment in the downtown core of my city with my coworker/friend and we were supposed to have our other coworker move in with us. She fell through because she felt she wasn't ready yet to live without her family. Understandable. So my other coworker got his childhood friend to take the other girl's spot. We signed the lease during mercury retrograde which I feel was a big mistake. She moved her boyfriend in with her, which was NOT our agreement. I honestly would have been okay with it if he was actually a nice person but he was rude and never helped out around the house, just mooching. They would fight all the time, I mean screaming matches and throwing things at each other. Long story short, we had a big ordeal about it and I was ready to move out but she and her boyfriend agreed to move out and find they're own place. This was October 2015 when they finally moved out. My coworker who was friends with her is no longer friends with her. This is when things started getting sour for me. My sister got arrested and my other sister got admitted to the psych ward and diagnosed with psychosis. January 2016, my relationship with my BF at the time dissolved for no apparent reason. February-March 2016, I get really sick to point where I missed a lot of work. April 2016, I get demoted from my really awesome summer job where I was loyal and a hard worker. May 2016 I was raped and robbed while on vacation. Around June/July I felt a shift in a good way and found a new career path. I completely changed careers, moved to an entirely new city and met a bunch of new people, including the man I'm currently in love with. I made friends with a girl only for her to stab me in the back and try to have a go at my man. This was November 2016. December 2016, I received creepy messages from an anonymous source claiming they have a crush on me and they knew where I used to live with my family and where I was living at the time. They sent me unwanted pictures of their genitalia. They did this from two separate accounts. Now, I got deported back to my country, luckily not banned but now I have an uphill battle. Wow! What a disaster. I am so VERY sorry. You will have to do an uncrossing on both you and your abode. But, please perform the uncrossing first and then immediately start protection work. I suggest more than an amulet. I just did a spiritual bath with Reckitt's Blue, rum and lime. My mother is Jamaican and when I told her my situation, she had suggested I do the bath. In her culture, you use blue, rum and lime when you feel someone has cursed you. She's also buying me a few amulets to wear. I feel better already! I'm now going to do the uncrossing and some protection spell work. I was starting to feel hopeless but I really do feel mentally stronger and I don't want to give up and I will continue to try and live my life as positive as I can. I am trying to find the link to the black tourmaline stone/necklace. Ive looked everywhere for it, but can find it. Years ago I found a spell on your previous huge list of spells that has been effective and I cannot find it again. It was called I believe a restraining spell but it was a strong binding spell with no reversal of energy intent. It was done with a iron pipe closed at both ends, coffee grounds, egg, nail, black and white candle. Do you know it? can you help me find it? That is the exact same thing I would do. Hey everyone I need some help. My cousin I think is possessed. She goes into these attacks having different voices and eyes rolling all the way to the white just showing and also forgets things for example you can feed her and give her medicine and she has no recollection of it. She been going through this since September this year. How can this happen? Did someone put this demon in her? Did she put it in herself? How can she get it off or out of her? Can she die for this? How can I get a reading? Do I hire someone from the pages you recommend? I live in Georgia do they come here? Please go to the websites that have been provided to you. My fiance has been doing protection candle spells for maybe 3 weeks with a red candle with olive oil, Himalayan salt, holy water, dragon's blood resin, red brick dust, ginger, rue leaves, names on paper on bottom, and a mirror. the 2nd all black, and the 3rd half black on top. before they started lighting candles their beads popped red and white.during while they were lit we noticed some people getting hit with bad luck even a death in their family.my fiance even had a dream of a person we know who we might think is one of the people doing brujeria on my fiance. On the 3rd candle my fiance had a near death incident and had to be admitted to a hospital.I basically had enough and decided to do a reversal candle black,upside down,my enemy written backwards,salt,revoke oil,eucalyptus oil,rue leaves,dragon blood, ginger,prayer, and a mirror. I noticed the fire on the wick fluctuating regular to low flame so i prayed and took baths for 3 days and the flame has been high dancing with blue on bottom.but ive noticed while it burned it had wax images of teeth, mountain, then people with faces hidden (i dont know if im reading too much into it). ive even dreamed of the candle the flame was all blue went off then went back on then the wick started growing like a tree.it has been getting those soot balls as well and now the glass is half black and it seemed to burn quickly as well it will be out by tomorrow day 5. Ive been telling my fiance we need to get a reading to get who has been doing all this bruejeria on my fiance so maybe the reversal can be stronger but my fiance is stubborn and i think maybe a clean up of our room may help as well. what should i do -- keep trying candles or get a reading to get the source? If i were you, i would get a reading, because your candle work and your domestic life is being affected. Start with some simple spell-work. Clean the area, lay down four Bay Leaves in the four corners and try to light a simple white candle for blessings to see if it gets messed up as well. If it does fine, then you might consider a dfferent kind of protection and reversal, such as a freezer spell or a mirror spell. However, if even the white blessing candle will not burn clean, you have serious difficulties and should seek a reading. Ask the reader if they see a certain person -- or give them a list of names that they can read on. Hi catherine yronwode Thank you i will take your advice.I have another question"
while i was praying and dressing the reverse candle for some reason my hands were shaking and the rest of the days i felt weak like hyperventilation. i had to lay down for a while. could those signs mean anything? Did it reverse back onto me or did i put to much energy into it? Hi, you seem to be asking me to read signs for you, but this forum is not a place to get readings like that. Yes, your unnatural palsy and tireness could mean something -- but whether mundane,medical, or magical, you would want to check out with a reader or a doctor, not on a forum. Can Spells Back-Fire, Blow Back, Reverse On Me, or Harm Me? Hi catherine yronwode thank you for your advice,hopefully things can turn around soon. What would people recommend for blocking vampiric attacks? The person doing this doesn't have any links of mine, except for a recording of my voice and a picture. My place is already protected, I always wear a protection amulet, I cleanse, but nothing is working. And the attacks occur when I'm asleep, so I can't fight back (I can avert a lot of stuff as long as I'm awake/active). And if I can also hurt them back… please do tell me how and I’ll be in your debt. About seven years ago a man I work with put a strong evil love spell on me. I did get rid of the spell but it took a long time. I use LM fiery wall of protection spell and I believe it has been a great help. I also did some work miss cat advised me to do and I believe it also helped. However I still often feel very strong love vibes from this man. His vibes come and go and can last several weeks or even months. A few readers told me he is deeply in love with me I feel his vibes when he's missing me. It feels like he's crying and feels deep love for me. I know he is highly skilled in dark spiritual works and I wonder if he is consciously sending out these vibes. Anyhow I would like to rid myself of them. Feeling his vibes makes me feel sad. lonely and afraid. I'm afraid I'll never completely rid myself of him, I don't have many people I can talk about this with and I'm deeply afraid he will try to come back. I regularly cleanse and protect myself and home. My mother who is clairvoyant told me he is emotionally distraught over not getting what he wanted and she advised me he may want to act out his feelings. Please help. My first advise is to go back, and get another reading from Miss Cat. You started this journey to get away from this man, & since she knows more about the issue, she can better help you with the situation. Thank you. I will follow your advice. I have a question regarding the strength of these protection spells/rituals. My partners ex whom he has 2 children with practices African black magic. A few months back I lit a candle (black) in front of a mirror while we slept, because after he went to the visit the kids I was hit by a car and no one was in the wrong. The cops said the road lights malfunctioned.. yikes!!! Subsequent the next morning after I did the black candles in from of the mirror; the next day his son (7 years old) couldn’t open his eyes as they were swollen shut. From my understanding the candle magic I did was to return any bad spells set against us back to the person wishing us harm. If I’m correct this proves she is out to get me. 2. I am pregnant and he doesn’t want her to find out as he is scared she will hurt our baby. I say all this to ask... is the hoodoo rituals and spells suffice to protect me and my children from any spells she will cast against us. He says she goes back to Nigeria to do sacrifices if necessary to keep any woman away from him. Please are these (hoodoo) strong enough for that degree of magic or should I be doing something more potent? ?